If you're an elegant woman, who appreciates the finer things in life, these designer eyeglasses for women are the solution you've been looking for. 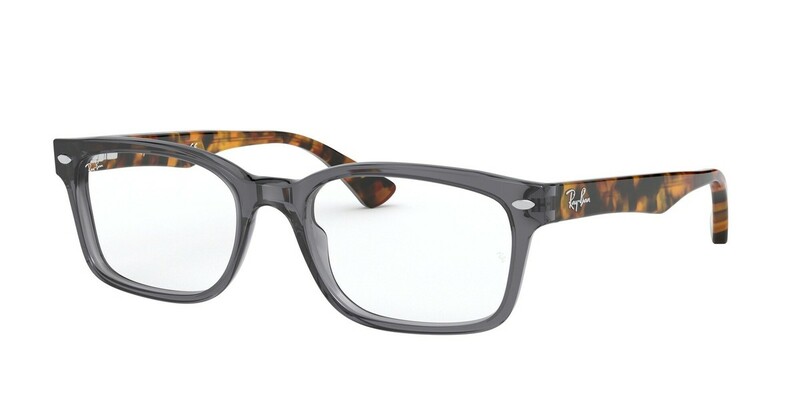 If you're one of these people, who don't like wearing things on their face, these high-quality plastic Ray Ban RX5286 eyeglasses might be the glasses you've been looking for. Made out of a blend of quality plastics, they're both strong and lightweight, so you can go about your day without any discomfort. The thick fully rimmed Ray Ban RX5286 frames are a real showstopper. You'll be able to let your personality shine through your eyewear with these unorthodox eyewear frames. A pair of good quality square eyeglasses is what you need if you're looking to add more of a contrast to your softer facial curves. These classic square frames are simple and will give you a polished look. Leave your mark wherever you go, because this simple eyewear is bolder than you think - sometimes it's the simple things in life, and this goes for your Ray Ban RX5286 eyewear as well. These vintage-inspired glasses with a unique modern twist are the ultimate hipster frames. You're young, you're free-spirited, you're passionate, and you're intelligent, because that's what being a hipster is all about. If you were buying a new suit, you'd expect it to fit perfectly to your body, right? The same goes for your Ray Ban RX5286 glasses. A high temple positioning will create more comfort to for those with rounder features. Just ordered a second of the exact same thing. I appreciate your time and look forward to buying from you again! Love it! So great price and glasses! Exactly what i was expecting! Bought the frames for my daughter. She loves them and the price was fantastic! Delivery was quick.